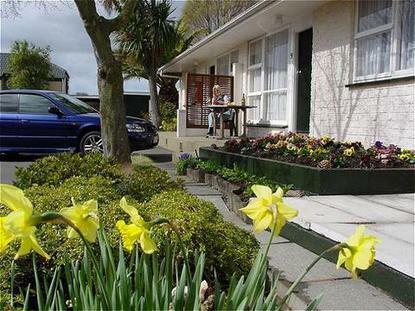 We would love to welcome you to stay with us and enjoy beautiful Christchurch and relax in our clean, quality, spacious accommodation. We are in a quiet location yet only a short walk to the city centre, convention centre, restaurants, cafes, casino, Hagley Park, golf course, swimming complex and much, much more. All units are non smoking and have High-speed Internet access. There is a guest computer at reception,a bus stop at the door and only a short walk to a free Shuttle bus service that operates through town and back. We are a convenient 15 minutes from the airport and only 10 minutes from the railway station. Come and relax in one of our spacious ground-floor 1 and 2-bedroom apartments or a deluxe Honeymoon suite and spa bath, each apartment has their own lounge and kitchen. Our guests tell us they love our accommodation and hospitality and we look forward to helping you enjoy your stay.